Capral is one of Australia’s leading specialist suppliers of aluminium extrusion products and associated services to local industries. The company’s main customer base is within the building and construction sector. Capral is an Australian company listed on the ASX. It commenced operations in 1936 and is Australia’s largest manufacturer and distributor of aluminium profiles, with net assets of approximately $125 million. The company has a national footprint of world-class aluminium extrusion plants comprising eight operating presses with an annual capacity of 75 kilotonnes. Its extensive distribution network covers major distribution facilities, in regional and metropolitan centres with an extensive range of products and logistics capabilities. Capral is a market leader in supply to fabricators and distributors, focusing on the residential, commercial and industrial segments. It has a comprehensive product range, innovative R&D capability, and is well positioned to take advantage of changing building regulations in Australia. Capral employs over 900 people throughout Australia, with significant skills and expertise in a broad range of areas. Capral operates a complex supply chain consisting of five manufacturing plants spread across Australia, including one located in Penrith in Western Sydney. This supply chain is supported by seven regional distribution centres and 11 aluminium centres supplied mainly by local manufacturing plants, with some imported aluminium products. The company applies different supply scenarios, such as make-to-order, make-to-stock, assemble-to-order and assemble-to-stock, based on customer needs. The hardware and software technology it uses is at least 10 years old and has issues meeting customer needs. Capral is working closely with the NSW Department of Industry to optimise its supply chain by applying Industry 4.0. 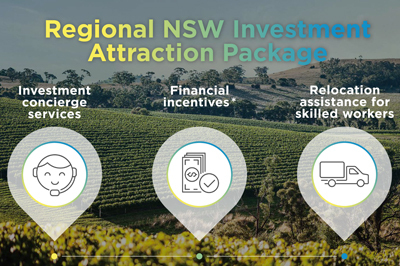 This involves evaluating potential changes in supply models and shifting service activities to NSW based manufacturing plants. Adoption of Industry 4.0 and digitising the company’s complex supply chain using innovative and advanced technologies is a potential game-changer for Capral. Capral can use data to understand its supply chain and make changes to improve efficiency. Capral will then be able to better meet different supply scenarios for customers, particularly window and door manufacturers servicing building and construction projects. Success should be transferable to government-sponsored construction projects. Competition from cheap imported products, and a focus on low price without inventory overheads, is a significant driver for customers. Through innovative supply chain solutions, Capral is aiming to reduce its costs and minimise pressure from imported products, enabling growth of the local industry.